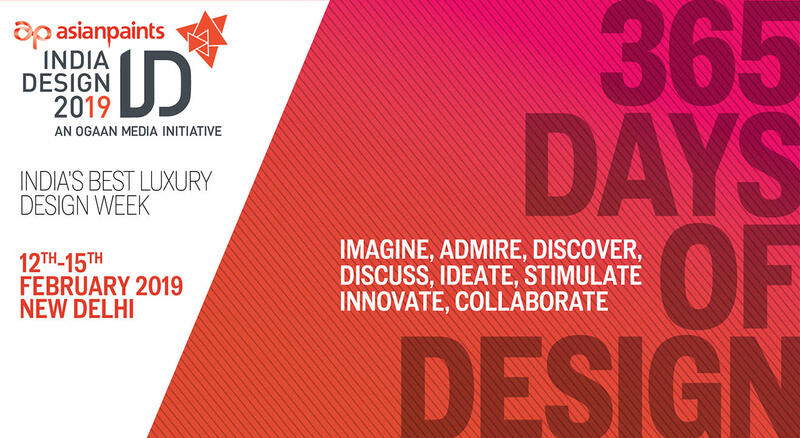 India Design ID,India's Best Luxury Design Week returns from February 12 -15, 2019 at New Delhi’s sprawling NSIC Grounds in Okhla. Block your calendars to come and witness the largest congregation of the best in architecture, interiors and décor. From new launches and exclusive showcases, to signature collections and beautiful artworks from leadings brands, we have it all covered as we bring to you more than 120 exhibitors from India and across the globe under one roof at the NSIC Grounds. Don’t miss out on our stellar line-up of famous Indian and international icons as they come together to share new ideas, concepts and design conversations. ID Exhibit: A showcase of the finest in home decoration, across categories like furniture, accessories, kitchens, furnishing, lighting and plenty more, held over 5 eventful days where 100 plus exhibitors converge on an interactive platform at the NSIC Grounds in New Delhi. ID Symposium: A three-day action-packed event that is part of India Design ID in New Delhi, ID Symposium is a great platform for architects, design luminaries and creative influencers from India and across the world to participate in panel discussions, interactive sessions, debates and dialogues centered around design.